Agustin is the Community Organizer on the Our Water LA campaign. Agustin previously was the Community Organizer on the RePower LA campaign, beginning in January 2016. 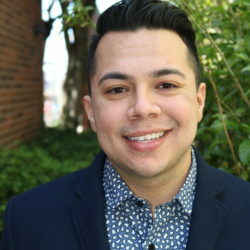 Before joining LAANE, Agustin was a lead organizer at SEIU-UHW, where he spent over three years organizing socio-economically diverse groups of hospital workers across California. Agustin loves cooking, reading about Latin American politics, live theater and exploring new places and cultures.